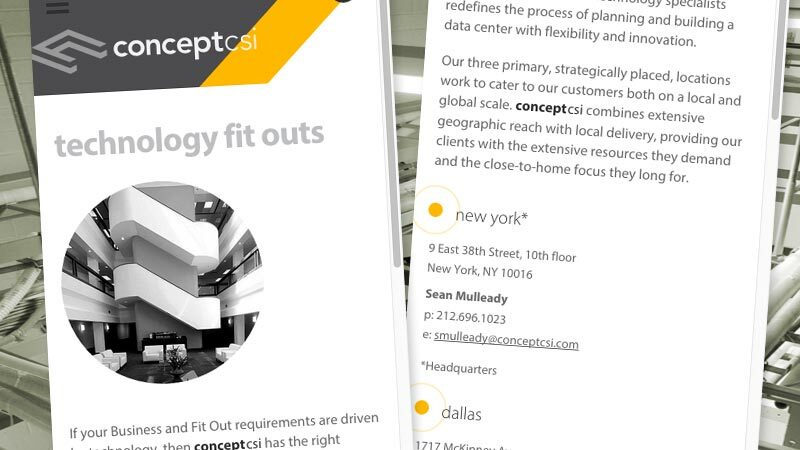 conceptcsi is a full service construction management organization specializing in data center and technical builds throughout North America, Europe and other worldwide markets. conceptcsi offers innovative client solutions that are cost-effective over the lifecycle of the asset and deliver on key business drivers. 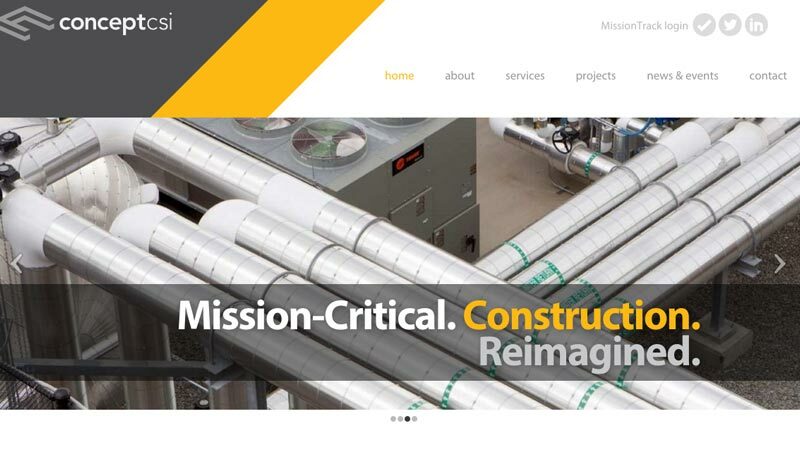 SHIRKWORX was commissioned to create a new mobile-friendly site to help showcase conceptcsi’s extensive construction management and data center building capabilities as well as keep visitors informed of project updates through their MissionTrack portal.